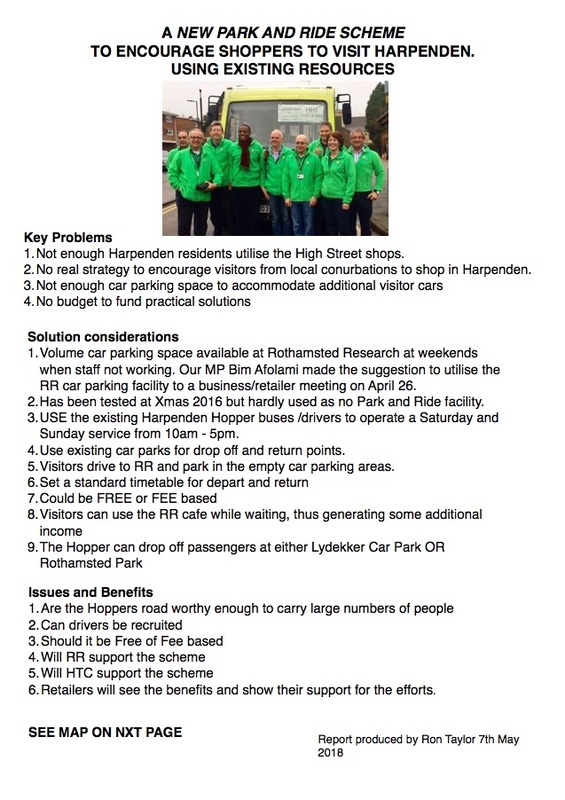 When you look at the incredible variety of retail shops in Harpenden and Southdown it all adds up to a giant departmental store. So next time you think of going to shop in London, think again, it could all be here on your doorstep. Save the train fare, spend a day in ‘the village’ and sample the fayre from one of the many bars or restaurants. Local shop owners face many problems. 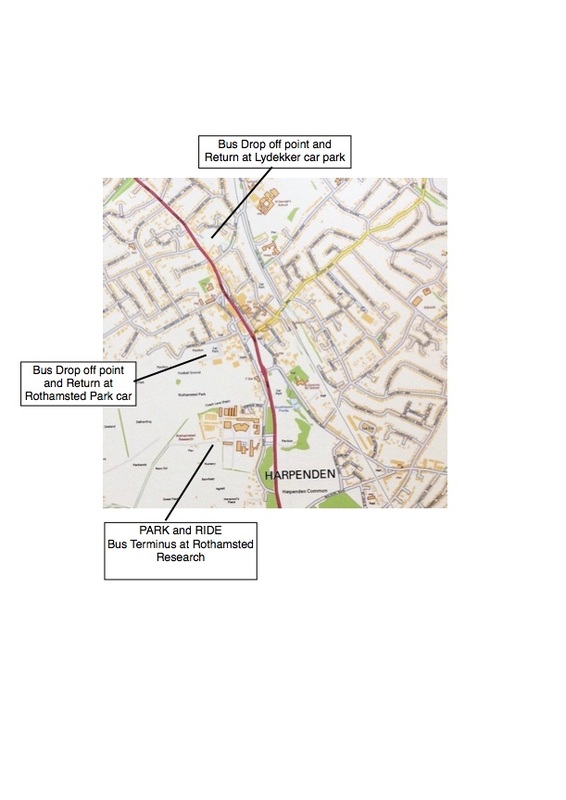 Rising rent and rates...declining disposable consumer incomes...pressure by the supermarkets to take market share from the independents...increasing popularity of shopping centres and internet shopping. So go out and support your local shops. New bathroom and plumbing services now in Harpenden at District and Modern Stores. 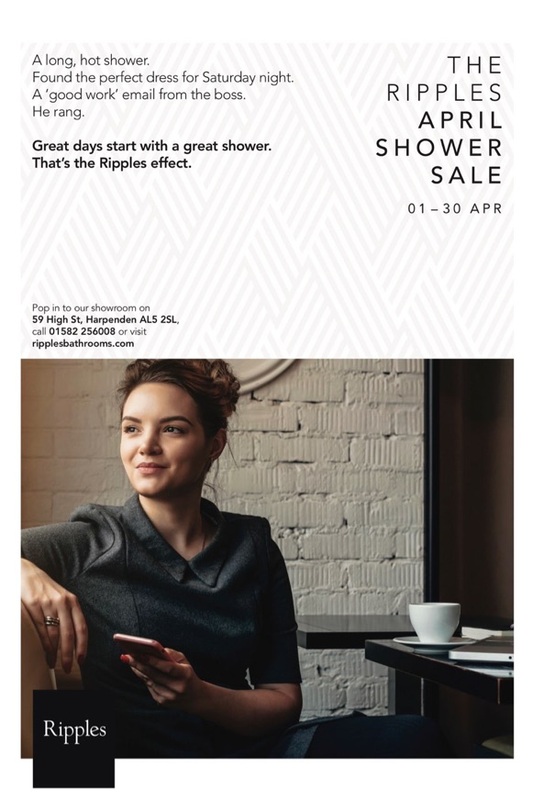 In July many Harpenden residents were dismayed to learn about the imminent closure of the Jacksons bathroom and plumbing business which had been trading on the High Street for 29 years. Jon Greer, a trusted and long term employee and owner since 2007, was also about to lose his job. 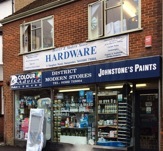 Thankfully Martin Gay the boss of MJG Property Maintenance and District and Modern Stores recognised the opportunity to expand his company activities by employing Jon and opening a bathroom and plumbing service on the first floor of the well established retail unit in Vaughan Road. This was a natural expansion as MJG had been using Jacksons for many years and were well aware of the scale of their operation. 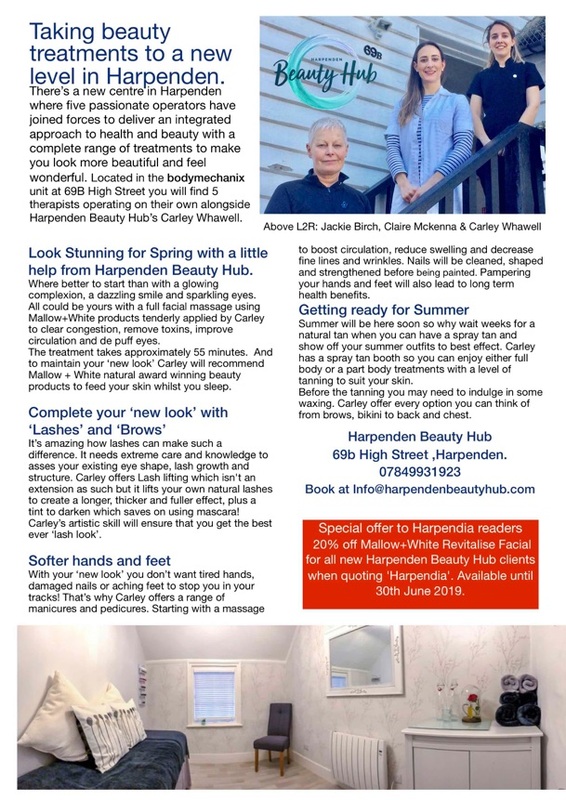 So now Harpenden has a single retail shop where you can buy all your home needs for plumbing and decorating with specialist advice you can trust and at prices that are as competitive as any other retailer including the big names. When you see dozens of trade business users at the shop you know it must be good. The last month has seen the upstairs area cleared to make space for all the bathroom, sanitary ware and plumbing products with a desk for Jon to control the operation. So now you can call in and speak to Jon about all your needs whether it’s a new tap or a new bathroom. Bring a simple diagram of your bathroom and loo with dimensions and your budget. 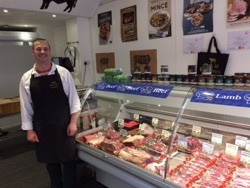 Jon can then take you through all the options, recommending products and give you prices. He will even recommend installers and tile and flooring experts to do the whole job. What more could you ask? The well established store at the bottom of Vaughan Road in the centre of Harpenden. 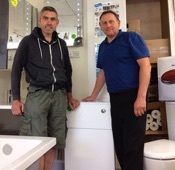 Martin Gay (left,Director of MJG) in the first floor showroom with Jon Greer (right) the manager of the new Bathroom section where a large range of product is on display. A large majority of UK shoppers are mistrustful of social influencers despite young shoppers admitting they are influenced by their suggestions. According to new research conducted for BBC Radio 4 by analyst firm Savvy Marketing, 82 per cent of those questioned admitted it was not always clear when an influencer had been paid to promote a product. Despite this the survey, which questioned over 1000 shoppers, found that 54 per cent of 18 to 34-year-old beauty buyers said they were still influenced by their suggestions. “The shoppers of the UK are a knowledgeable lot and tend to be pretty wise when deciding how much to trust an influencer’s recommendations,” Savvy Marketing’s Alastair Lockhart told the BBC. The meteoric growth of social media has meant that social influencers have become a lucrative resource for retailers and brands to promote their items. Selfridges’ beauty director David Legrand added: “When you have an influencer speak about product straight away, almost within an hour of them promoting something, you can see uplift in sales. Brands are trying to influence the influencers or have influencers of their own. 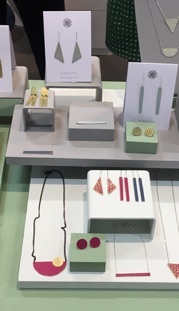 Serena Hart has two fabulous new FAIR TRADE jewellery ranges in stock. 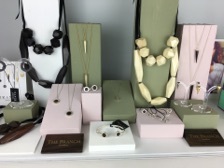 THE BRANCH JEWELLERY which is sterling silver and rosewood, the perfect accessory to wear with this seasons dresses. It is handmade in Bali by Balinese Artisans. 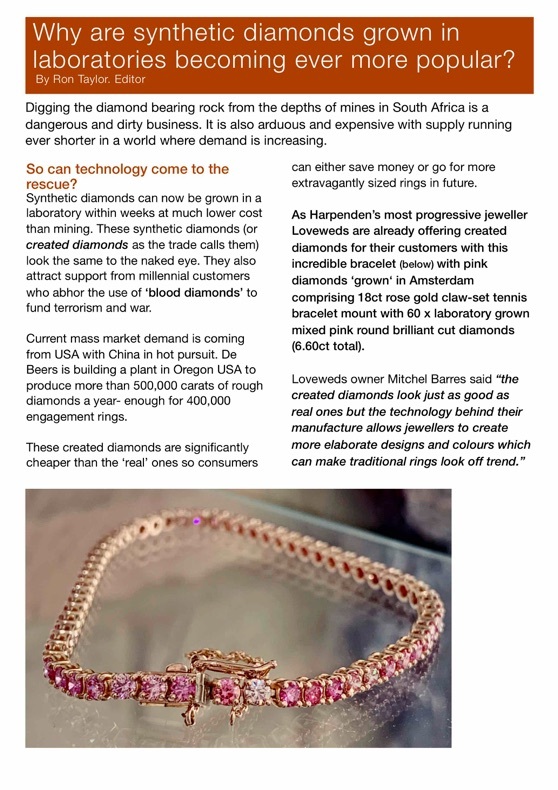 The other collection is JUST TRADE who collaborates with Artisans around the world to create stylish, desirable handmade jewellery and accessories namely from Peru, Vietnam and Ecuador. 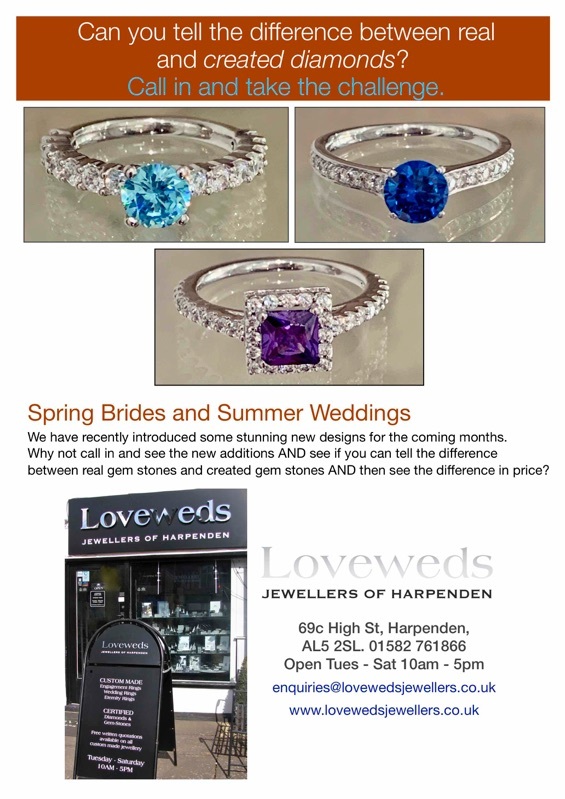 Pop in to Serena Hart to take a look at these two beautiful ranges. 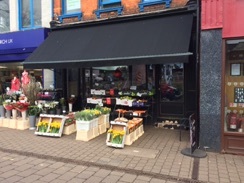 NEW on the High Street in Harpenden, a well established Harpenden business. 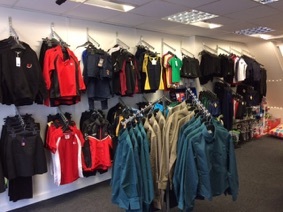 The place to buy School wear. Opp Waitrose. Fresh fruit and veg from Harpenden’s only real Greengrocer, READS. On the High Street AND in Southdown. What makes Beat School Uniforms so special? 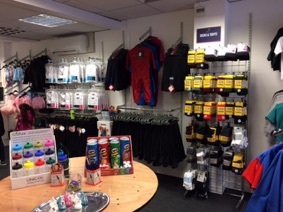 Beat School Uniforms (BSU) is a family run business, consisting of three school uniform and sportswear stores based across Hertfordshire. 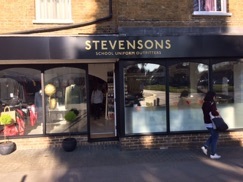 We started 12 years ago as an online supplier for our own children’s schools and have since opened three retail outlets in Watford, Hitchin and most recently Harpenden. We are extremely proud of our close relationships that we have established with our schools, clubs and customers. We pride ourselves on our dedicated online & phone delivery service – ensuring all orders are delivered straight to the customers home within 48 hours (often quicker) using our own dedicated drivers. Our ‘USP’ is that we care deeply and passionately about what we do and will ‘bend over backwards’ to make sure each and every child gets exactly the uniform they need - including catering for specific allergies and disabilities. We believe the purchase of school uniform, especially for Reception and New Year 7 starters, is a gateway into starting at their new school and aim to make the whole process stress-free and enjoyable. Velvet footstools, mirrors, lamps. 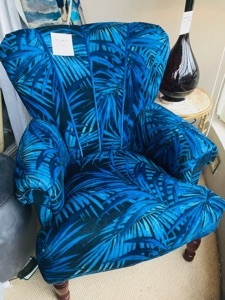 side tables, lanterns, cushions and this beautiful tropical blue velvet Lilly chair. From UK producers. 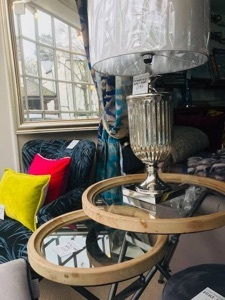 All available now at Lister Interiors. SPRING celebrations deserve some bubbly. 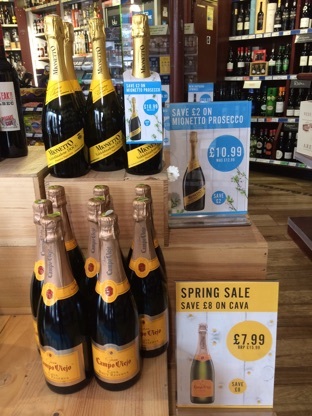 Big savings at Wine Rack Harpenden. 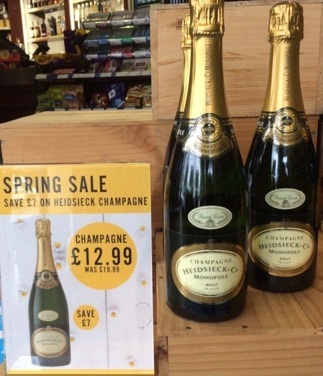 Save £7 on Heidsieck Champagne, Save £2 on Mionetto Prosecco and save £8 on Campo Vieja Cava. Treat yourself before stock runs out.